For other uses of the term, see Oceana (disambiguation). 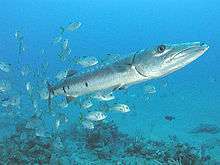 Oceana is the largest international ocean conservation and advocacy organization. Oceana works to protect and restore the world’s oceans through targeted policy campaigns. Oceana bases its policy campaign goals on science to achieve concrete and measurable results through targeted campaigns that combine policy, advocacy, science, law, media, and public pressure to prevent collapse of fish populations, marine mammals and other sea life caused by industrial fishing and pollution. Campaigns are designed to produce clear, identifiable policy changes within a 3–5 year timeframe. Oceana is headquartered in Washington, D.C. and has North American offices in New York City; Juneau, Alaska; Anchorage, Alaska; Portland, Oregon; Monterey, California; Boston; and Los Angeles. In Europe, Oceana has offices in Brussels, Belgium and Madrid, Spain. The South American office is in Santiago, Chile and the Central American office is in Belmopan, Belize. Oceana was established in 2001, by a group of leading foundations—The Pew Charitable Trusts, Oak Foundation, Marisla Foundation (formerly Homeland Foundation), and the Turner Foundation. Those foundations discovered through a study commissioned in 1999, that less than one-half of one percent of all resources spent by environmental non-profit groups in the United States went to ocean advocacy. Thus Oceana was created to identify practical solutions to the problems facing the oceans and to make those solutions happen. The organization was not started from scratch, as the Ocean Law Project—also initiated by The Pew Charitable Trusts—was absorbed into Oceana in 2001, as the Oceana’s legal arm. In 2002, Oceana merged with American Oceans Campaign, founded by actor/environmentalist Ted Danson, to more effectively address their common mission of protecting and restoring the world’s oceans. Danson remains a committed and active member of Oceana’s Board of Directors. The Ocean Pollution campaign is working to stop major sources of ocean pollution including oil, mercury, aquaculture and shipping emissions. The Responsible Fishing campaign is working to promote sustainable fishing practices, which includes stopping destructive bottom trawling and illegal fishing gear, limiting bycatch, ending fishing subsidies and protecting overfished species such as bluefin tuna and krill. The Sharks campaign works to protect sharks through policy, science and legal work. Oceana is pushing for true shark finning bans, species-specific shark management and reduced shark bycatch. The Sea Turtles campaign works to protect sea turtles from extinction by reducing sea turtle bycatch, protecting habitat and develop legislation to protect sea turtles. The Climate and Energy campaign works to stop ocean acidification, promote clean alternative energy such as offshore wind, and end offshore drilling. Oceana also campaigns to protect vulnerable places in the world’s oceans, including the Arctic, the Aleutian Islands, Chile’s Juan Fernandez Islands, Punta de Choros and Patagonia, and the Mediterranean. Every year since 2005, the organization has led an on-the-water expedition in the Mediterranean to document vulnerable marine habitats. In 2010, Oceana spent two months on the water in the Gulf of Mexico investigating the long-term effects of the Deepwater Horizon oil spill.. Protecting Sea Turtles: In March 2010, in response to two petitions submitted in 2007 by Oceana and others, the National Marine Fisheries Service and the Fish and Wildlife Service issued a proposed rule to change the status of North Pacific and Northwest Atlantic loggerhead sea turtles from “threatened” to “endangered” under the Endangered Species Act. Freezing the Footprint in the Arctic: In 2008, the National Marine Fisheries Service closed nearly 115 million acres (470,000 km2) of the Bering Sea to destructive bottom trawling. The closure adopted Oceana’s approach of freezing the current “footprint” already trawled and prevents future expansion of this damaging fishing technique. Worldwide, Oceana has protected more than 640 million acres (2,600,000 km2) of seafloor from bottom trawling. In addition, after work by Oceana, in February 2009, the North Pacific Fishery Management Council voted to prevent the expansion of industrial fishing into all U.S. waters north of the Bering Strait for the foreseeable future to limit stress on ocean ecosystems in light of the dramatic impacts of global climate change in the Arctic. Getting the Word out About Mercury: Oceana has convinced major grocery retailers including Costco, Kroger, Whole Foods, Trader Joe's, Safeway, Wild Oats, Harris Teeter and others to post the Food and Drug Administration's warning regarding mercury in certain kinds of fish at their seafood counters. As a part of this campaign, Oceana also targeted outdated chlorine manufacturing plants that the organization believes to be polluting the environment with mercury. Oceana is also known for their involvement in campaigning Royal Caribbean to engage in environmentally friendly waste management. After a year of campaigning by Oceana, Royal Caribbean agreed to install advanced wastewater treatment facilities on all of its ships. Preserving Punta de Choros: In August 2010, Oceana helped convince Chilean President Sebastiàn Piñera to request the relocation of a coal-fired power plant scheduled to be constructed in a vulnerable region of Chile’s northern coast, Punta de Choros. Regulating Salmon Aquaculture: In March 2010, as a direct result of Oceana’s campaign work to reform the Chilean salmon aquaculture industry, the Chilean Congress passed legislation to prevent the escape of farmed salmon and further regulate the use of antibiotics in salmon aquaculture. Saving Sharks: In January 2009, the Spanish government, after campaigning and consulting with Oceana, committed to advancing new shark legislation that would ban the catch of threatened hammerhead and thresher sharks, put in place catch limits for blue sharks and shortfin mako sharks and evaluate the viability of landing sharks “whole” with their fins attached. Spain is one of the largest shark catching and exporting countries in the world. In July 2013, the entire EU enacted a ban on shark finning. Banning Mediterranean Driftnetting: In February 2008, the European Court of Justice rejected any further requests by the French government for exemptions from the EU ban on driftnetting in the Mediterranean Sea. 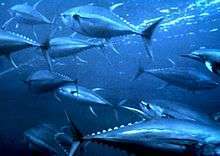 This ruling will spare 25,000 juvenile bluefin tuna annually, along with 10,000 non-targeted marine species caught annually in the driftnets. Limiting Destructive Trawling: After two years of intensive lobbying by Oceana staff in Brussels and Madrid, in 2005 the European Union prohibited destructive fishing practices, including bottom trawling, in over 500,000 square miles (1,300,000 km2) around the Azores, Madeira and the Canary Islands. Preventing Oil Pollution: In May 2005, a new law was passed by the European Union that imposes criminal sanctions on the owners, operators and financiers of boats that illegally dump oily waters and residues into the sea. The law could prevent as much as 20,000,000 tons of polluting substances from getting into the ocean every year. Oceana created the Ocean Heroes Award in 2009 to recognize the efforts of individuals who have demonstrated exceptional dedication to ocean conservation. Recipients of the award are announced annually on World Oceans Day, June 8. The Ocean Hero Awards recognized one individual its inaugural year, but the award has since expanded to honor both an adult and a youth Ocean Hero. ↑ "Shark Finning Finally Banned in the European Union". inhabitat.com. 2013-07-15. Retrieved 2016-07-18.